The Valley of the Kings, the Temple of Amun-Ra at Karnack, the Pyramids of Giza – all fantastic sites and well worth a visit but only one of them can claim to have been the inspiration for a spread betting game. In this classic, tokens are placed on the pyramid and a ball is released - the more tokens that are hit by the ball, the more points are scored. 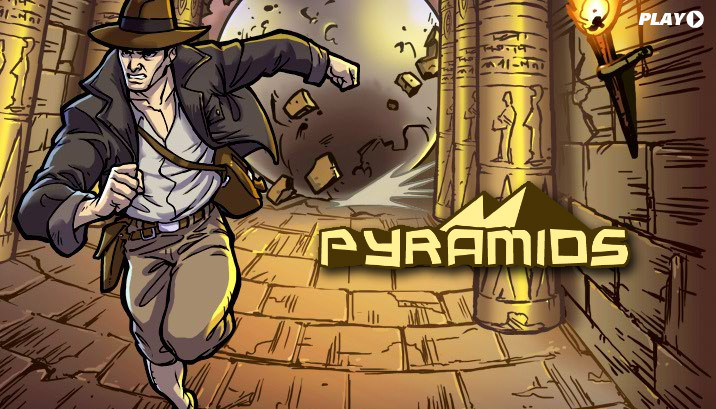 You can place tokens on the pyramid to create your own game, select one of the predefined pyramids or use the random pyramid generator. Once you have your perfect pyramid, click on 'get prediction' and a tailor made price will appear which you can then place a bet on. Remember that you can stack as many tokens as you want on one pyramid. Should you get over excited and then wish to remove some of them you can do so by clicking on the one(s) you want to get rid of. If you populate your pyramid using method one you will need to click on "Get Prediction" to your price to bet on. Using a predefined or random layout option will mean a price is automatically generated for you. And that's it, a simple game but a classic nonetheless.